The murder suspect, Cristhian Bahena Rivera, was able to live illegally in the United States because he could find employment, and there was no adequate verification mechanism in place to catch the fact that he was not legally eligible to work in the United States. In fact, as CAPS wrote about in August, the farm that employed Rivera, believed what they were using, the Social Security Administration system, was E-Verify. Further highlighting the need for a standardized way to check the work eligibility of workers. Now, a bill making E-Verify mandatory in Iowa is one step closer to becoming law. 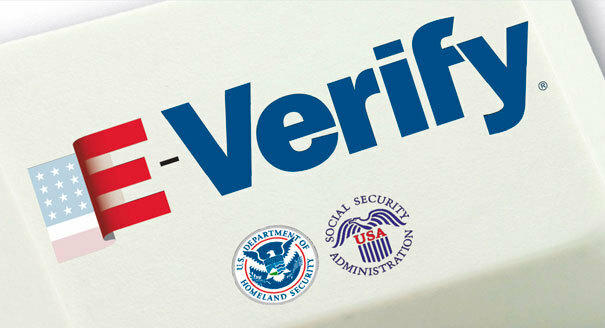 E-Verify enables businesses to determine the work eligibility of their employees, by accessing a national database. The Gazette details progress the bill has made in the Iowa legislature. Every Iowa employer would be required to check a federal system to determine whether job applicants are legal residents of the country and eligible to work here. That is the main requirement in a state-level immigration bill that advanced Tuesday at the Iowa Capitol. Supporters say mandating employers use the federal E-Verify system to check the eligibility of all job applicants creates fairness by discouraging businesses from hiring individuals living in the country illegally, often paying them substandard wages. CAPS advocates for nationwide Mandatory E-Verify, one verification system that would get rid of the guessing game of a myriad of state-based laws and confusion over how to properly verify the legal work status of workers in the United States.